- Created the Medeek Electrical secondary toolbar, with two additional functions/tools: Draw Heater, Draw Vent. - Enabled the ability to draw ceiling (garage/shop) and wall mount heaters. 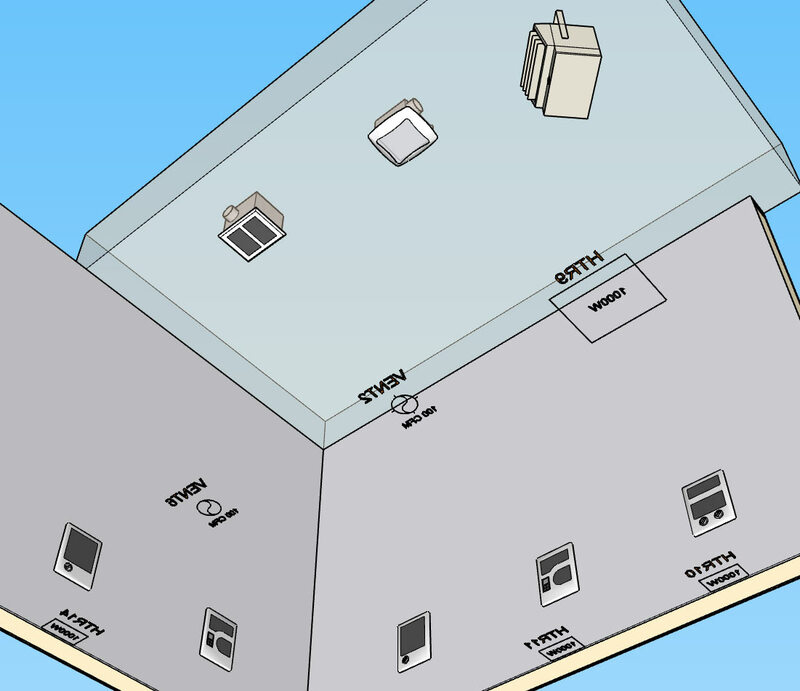 - Enabled the ability to draw ceiling mount exhaust fans, with or without light. If you would like to see a specific piece of electrical hardware or device added to the plugin please let me know, I am very open to suggestions on how to make this plugin more useful. I've had numerous requests for extending the plugin to encompass the British electrical standards however no one has sent me any literature (or links to literature, manufacturers etc...) or low poly models. I am interested in making this plugin more universal and extending its coverage to other electrical standards however I don't have enough experience with these others standards yet and I will need more guidance if I am to do this correctly. This toolbar will be for misc. electrical devices that do not fit neatly into the categories already provided (switches, outlets, low voltage, load centers, safety, light fixtures). Vents will include typical ceiling mount vent fans for bathrooms, laundry and kitchens. Regular ceiling fans and ceiling fans with lights will actually be included with the light fixtures module. The light fixture module actually needs to be more like the safety device module where you have a custom library for certain classes of lights and the corresponding symbol. I'm also debating whether to add in something for enclosed vents/fans for (bathrooms, laundry rooms, kitchens). Technically this is part of the HVAC or mechanical system but usually gets tucked into the electrical plan, thoughts? - Parameter hightlight (input) color added to General tab of global settings. - Fixed a bug with the safety devices module. Since only one gable wall type will be enabled. It has been nearly six months since I started working on the gable walls and unfortunately it has been quite a bit more complicated and problematic then I originally imagined. Gable walls change up almost every aspect of the wall from connections to other walls to trim and wainscoting. 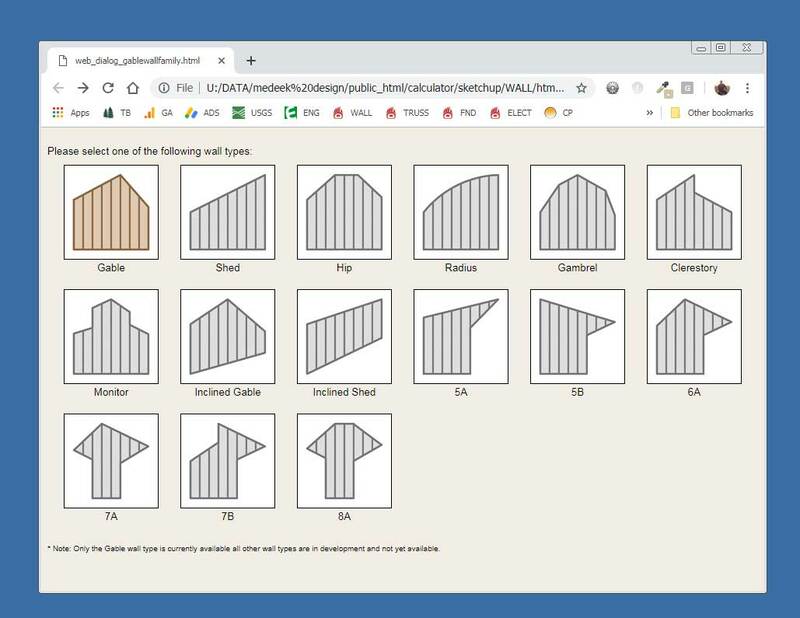 The differences between rectangular walls and odd shaped walls is so drastic that I've basically had to write completely new modules for windows, doors, garage doors, trim, wainscoting, advanced options etc... its almost like there are two plugins running side-by-side. To get to all the other gable variants is going to take some serious coding but the leap is less than from the initial leap from rectangular to gable so I am fairly optimistic that it will be manageable. I'm looking for some low poly florescent light fixtures to include with the plugin. Please send me some links to any that you would recommend or would have use of. Overall I think the video is excellent however the demo was of version 0.9.6 so he was not able to demonstrate the parametric ability of the plugin. I've been putting out a few fires the last couple of days and one thing that I would like to provide some clarity on is the current system that handles custom data from the User. However, I have not received very much feedback (bugs or features) with this plugin. Please feel free to post feedback or comments in this forum or others. 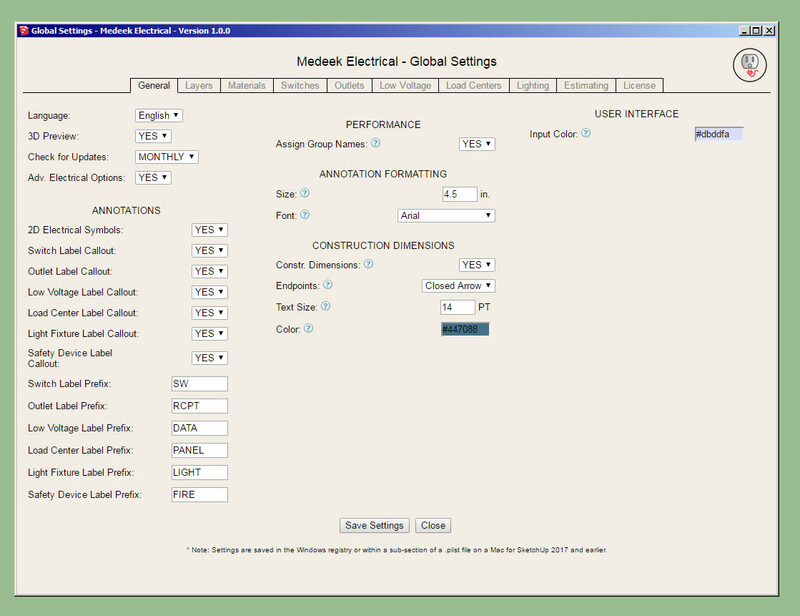 - The Medeek Electrical extension moved from BETA status to initial full release. - Created the HTML edit panel menu and enabled editing for load centers (service panels). - Created the HTML edit safety device menu and enabled editing for wall and ceiling mounted safety devices (exit signs, smoke detectors, CO detectors, horn/strobes). - Created the HTML edit light fixture menu and enabled editing for wall and ceiling mounted light fixtures. - Created the HTML edit low voltage outlet menu and enabled editing for low voltage outlets (data, telephone, cable, RCA). Only three more modules (lights, safety devices and panels) to go and then we can bump it out of BETA status. Just a heads up, I will probably be increasing the price on this plugin from $20.00 to $35.00 once I have moved it from BETA to the initial full release. - Created the HTML edit outlet menu and enabled editing for outlets. As part of this upgrade I'm also addressing interoperability and metric template issues and other minor fixes for outlets. 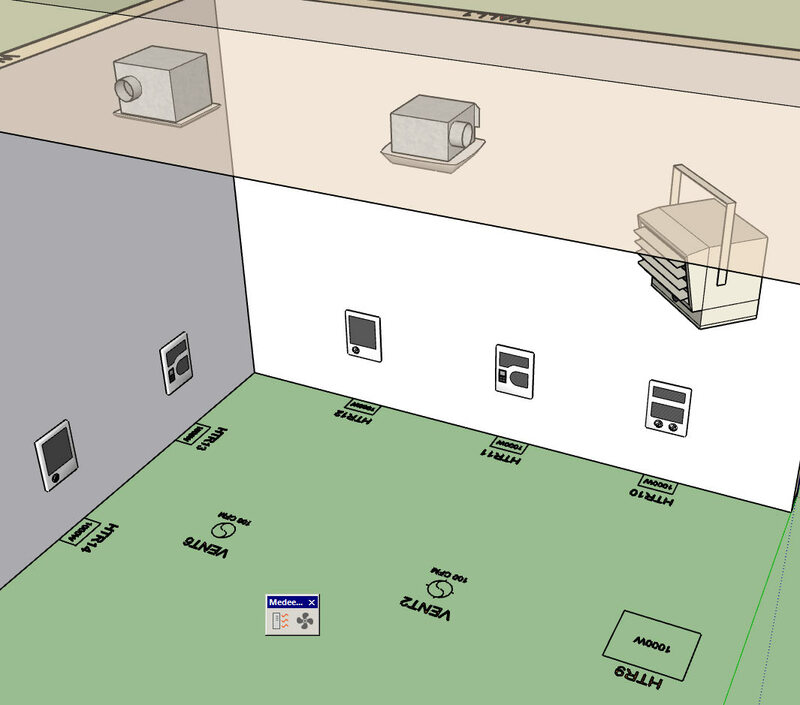 - Enabled interoperability with John Brock's Framer for SketchUp extension. I've limited the interoperability to switches only until I can further test this new feature/integration. Once I am satisfied that there are no issues I will enable all other electrical devices.